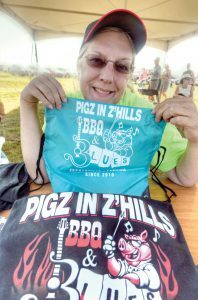 Sunny weather, tasty barbecue and upbeat tunes combined to attract people from all over to the seventh annual Pigz in Z’Hills BBQ and Blues Fest. 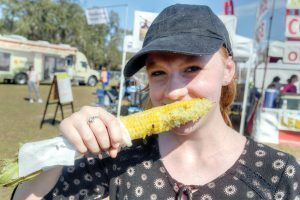 Thirteen-year-old Sommer Mullinn, of Zephyrhills, samples her first taste of the corn roasted by one of many food vendors at the music and barbecue festival in Zephyrhills. 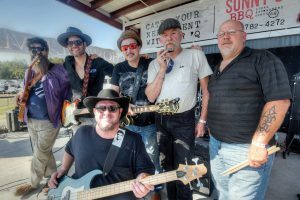 Locals and nonlocals alike arrived in droves on Jan. 21 at the Zephyrhills Municipal Airport for an afternoon where sunshine, barbecue smoke and blues’ music set the stage for a good time. 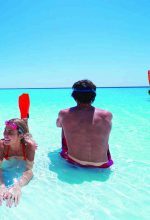 Attendance and financial figures weren’t readily available. But, there was one indication of the festival’s popularity: The traffic. A line stretched at least a mile, from the parking gate all the way to 20th Street, in Zephyrhills. Traffic was also backed up on the approach to the festival from State Road 52. The entertainment lineup at the festival included the Chuck Riley Band, of Zephyrhills. Event officials were “thrilled” with the event, and the “amazing” crowds. Melonie Monson, executive director for The Greater Zephyrhills Chamber of Commerce, said she’s “heard only positive things” from officials and festivalgoers. “The response that we’ve gotten so far is that the volunteers were friendly, the staff was friendly, and everybody was very helpful,” she said. Miriam Hansford, an ambassador for The Greater Zephyrhills Chamber of Commerce, the coordinator for the event, displays some of the branded souvenirs of this seventh annual festival. But, she did note there was a better flow of foot traffic compared to prior years, considering the festival’s new venue spans 14 acres. 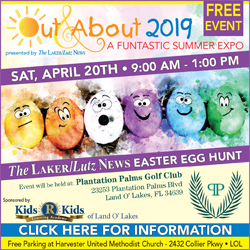 The chamber, meanwhile, plans to garner additional feedback from the city of Zephyrhills, event volunteers and other department heads that worked the event. “We go through the plusses and the minuses, and see how we can improve, and then we start making a game plan for next year,” Monson said.